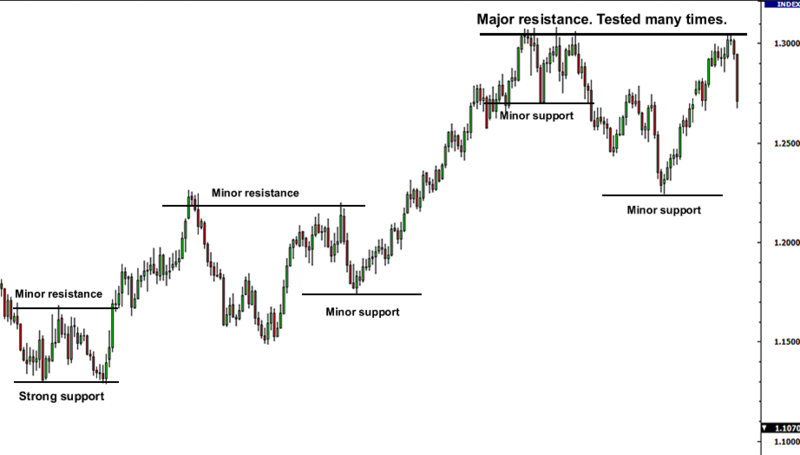 Valid support resistance are the main analysis from trading forex. 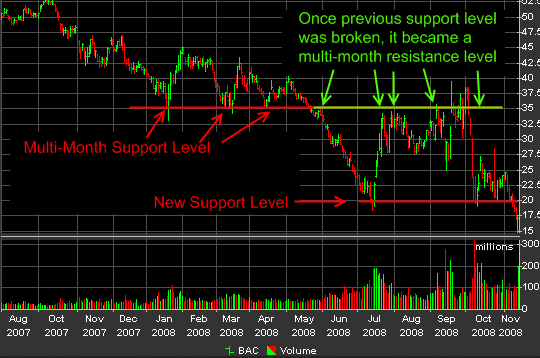 Support resistance level is similar with supply demand technical analysis. Forex market have this rules. Support resistance trading technique can be use at least on one hour time frame as intraday trading strategy or swing forex strategy read from four hour and daily charts are more better to get swing signals. Like intraday trading is very excited if we knows the bouncing of level entry price. How to know the bouncing of this level entry price ? Surely understanding how to read strong support resistance areas as our analysis indicators is a must. Because the main principle of market movement price are always looking new high or new low right ? but why sometimes price not always make a new low or new high. Or maybe we can say that market almost 90% move from fresh and new support resistance level as new high or new low to old support resistance zone and vice versa. Basically, determine valid support resistance is very easy enough. Even from clean forex charts from our mt4 trading platform. Usually professional forex trader reading strong of support resistance areas at least read based four hour time frame and daily chart or if we like a scalping read only from one hour time frame and get scalping forex signals on small time frame using 30 or 15 minutes based reversal candlestick patterns confirmation or with over bought over sold indicators in order to minimize the risk. Test it with your self how this support resistance level is very important before we make decisions to take action buy or sell positions. Today i’ll share some forex tips in how we should trade forex using support resistance strategy properly. First, we need to read strong based of support resistance level on daily chart or at least from four hour time frame. Just marks the areas that have many price bounced in at least three times and all retest price are rejected and make a strong based to make a continuation wave or swing. Remember this support resistance level is not a line but zone or range or area and in this area usually reversal candlestick patterns formed. And use daily first then go to four hour time frame to looking this support resistances levels. According as our forex journal, usually if there at least 2-4 bullish reversal candlestick patterns appear in one range or in one area it indicate that strong support area will be formed and will be valid if appear long full body candle up or buyer to confirm those reversal bullish candlestick patterns or vice versa. But if long full body candle down as strong seller candle appear on this strong support area it mean strong support area which have many bullish reversal candlestick patterns are expired and become strong resistance zone. This reversal candlestick strategy minimum read are from H4 time frame or daily chart are much better. Here are some pictures below how price reacted to support resistance levels..
And for the last, sometimes trading forex it looks like have a simple analysis but at the end we need a more variables to get accurate forex signals at least we’re using daily or four hour chart as our primary time frame analysis because on big time frame support resistance more static or more strong enough to counter the running price as long requirements variables that already explained above have been met. And remember trading forex with best of the best recommended forex brokers in the box below to get honest physiological of forex market on using support resistance strategy as our first variable in analyzing market movement. And still be wise in our lot management even confirmation forex signals appear on support resistance level in order to get withdrawal consistently in every month. If we patient waiting a new confirmation reversal candlesticks patterns as our primary signal usually not only 10-20pips we’ll get but a hundreds pips we’ll get. 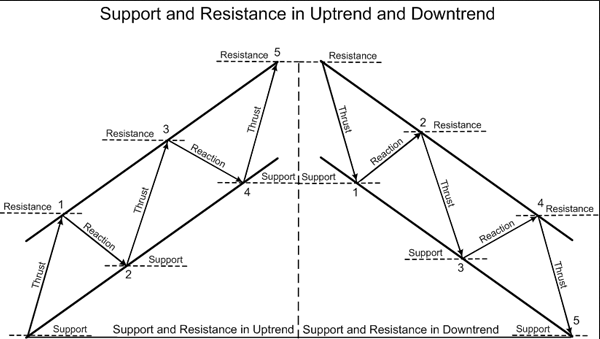 Just for references, you can download this free support resistance tutorial to learn more about how to reading support resistance level with ease.